Offering you a complete choice of products which include vegetable kurma, ginger curry and chana masala. We are the leading manufacturer, exporter and supplier of an optimum quality grade Vegetable Kurma. The provided vegetable kurma is hygienically prepared under the strict supervision of our highly experienced chefs using premium grade ingredients. 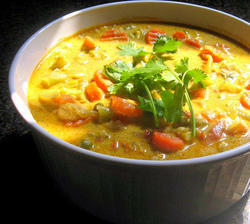 Offered vegetable kurma is highly appreciated by our valuable clients for its optimum freshness and mouth watering taste. Furthermore, this vegetable kurma can be availed by our clients at nominal price. We are a unique name in the industry to provide our precious clients an exclusive grade Ginger Curry. Offered ginger curry is exclusively prepared by our experienced chefs using optimum grade ingredients. 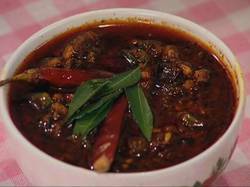 Owing to its mouth watering taste and excellent flavor, this ginger curry is widely demanded among our clients. Furthermore, to ensure the delectable taste, the provided ginger curry is tested by our quality controllers on various quality parameters. Backed by the assistance of our experienced professionals, we have been able to bring forward a qualitative grade Chana Masala. 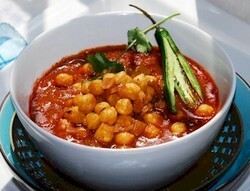 The provided chana masala is hygienically prepared by our skilled professionals using the best grade ingredients. Offered chana masala is widely demanded by our esteemed clients owing to its optimum freshness and delicious taste. Moreover, clients can avail this chana masala from us at most affordable price.